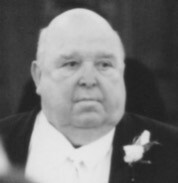 Roy Lee Morris, 79, passed away Friday, February 1, 2019. He was born January 21, 1940 to the late Roy Myron Morris and Annie Lee Badgett Morris. He graduated from Denton High School, and attended East Carolina University. Roy Lee was a tax appraiser with Pearson Consulting Company and the NC Department of Revenue. He also served as tax supervisor for Davidson, Transylvania, and Buncombe Counties. Funeral service 2:00 pm, Monday, February 4, 2019 at L. Harold Poole Funeral Service Chapel, 944 Old Knight Road, Knightdale, NC 27545. Burial will follow in Gethsemane Memorial Gardens, 809 W. Gannon Avenue, Zebulon, NC 27597. The family will receive relatives and friends prior to the service from 12:00 to 1:45 pm. Surviving: wife, Nancy Baker Morris; daughters, Sue M. Frederick (Mark), Ann Luck, both of Wendell, Lynn M. Carter (Kevin) of Raleigh; grandchildren, Lauren F. Dix (Austin), Wesley Morris Luck, Erica Lee Frederick, Kenneth Scott Luck; sisters, Gayle M. Coley (Turner) of Winston Salem, Genie M. Russell (Mike) of Denton. In addition to his parents, he was preceded in death by a sister, Beth Morris; a niece Tina Hogan; and a nephew, Sammy Russell. Flowers are accepted, or memorial contributions may be made to Wendell United Methodist Church, P.O. Box 1925, Wendell, NC 27591, or SECU Hospice House, c/o Johnston Health Foundation for Volunteer Services, P.O. Box 1376, Smithfield, NC 27577.